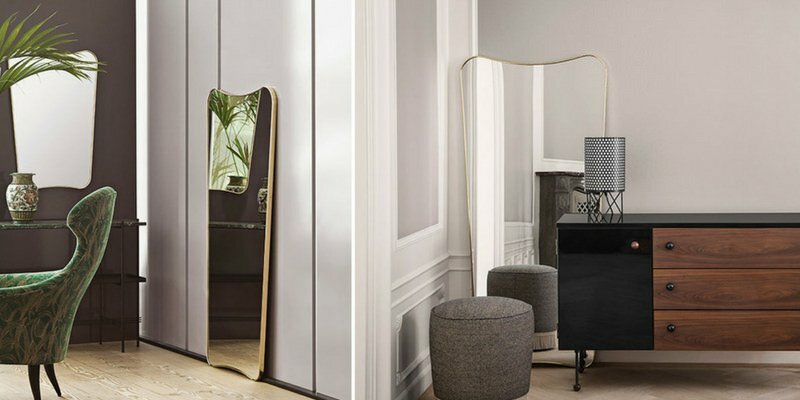 Mirrors have such deep roots in our evolution, it’s hard to imagine a home without one. Kings and vagabonds, quirky serendipities of damsels, and wizards and talking donkeys, we’ve seen them all! Though the zany stories take us through an emotional roller coaster, it’s the mirror magic we’ll want to bring home. 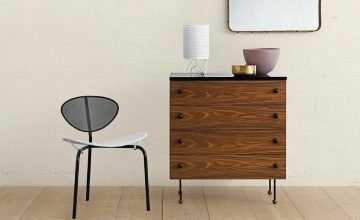 As we venture the world for great furniture, sometimes we come across such persuasive homeware, we can’t help but add it to our Scandinavian furniture collection—remember the time when you picked up that beautiful scarf or tie you so didn’t need! You’ll soon SEE what we mean. 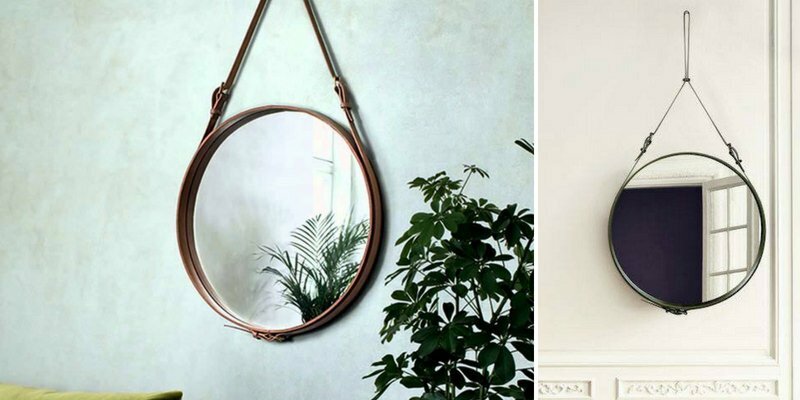 Check out this fabulous mirror collection at Danish Design Co! 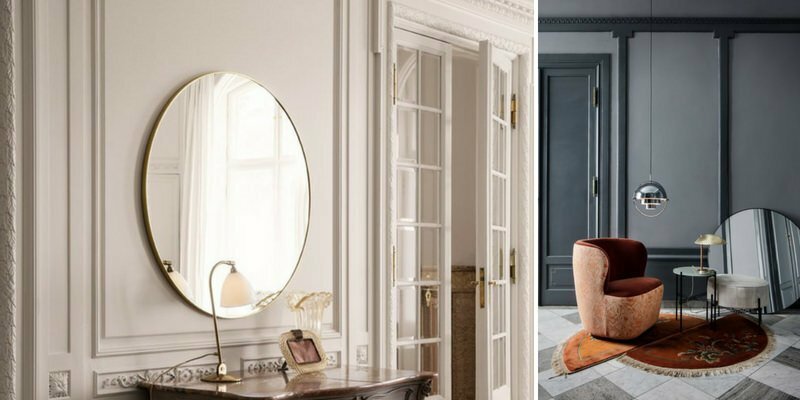 A Jacques Adnet creation, the Adnet Circulaire Mirror features fine leather, burnished brass and glass. If you’ve been to the races, you get that sense of déjà vu—elegance. Crafted for function, the Adnet is available in black, olive and tan colors to create a magical window right in your living room. 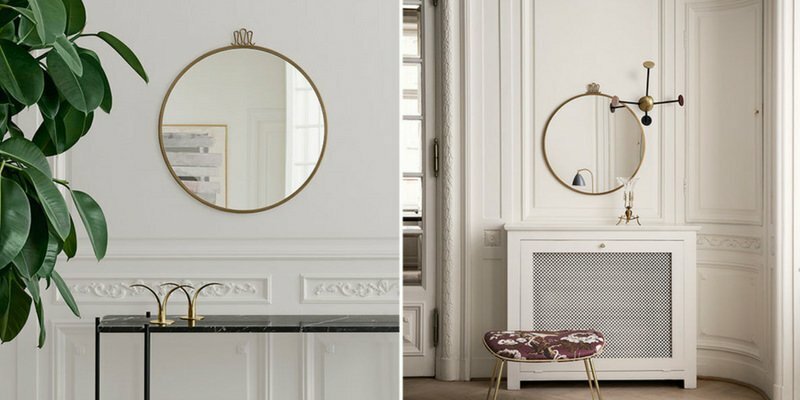 The large, round GUBI Wall Mirror creates a portal in the interior. Though sizeable, it does not loom large, and the brass edge gives it added warmth—silver linings! 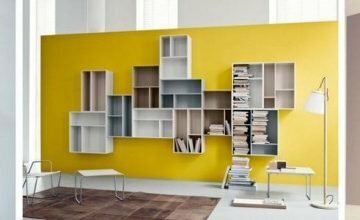 Set it up in the bedroom, washroom, or the hallway to enliven the space. Gio Ponti’s Randaccio Mirror has humble beginnings in Milano, where the dreamer schemed furniture items. Who could have imagined a crown on top of an antique brass mirror? It’s this kind of imagination that won the designer the world’s admiration. If you enjoy fairy tales and would love to see what a royal mirror could show you, deploy the Randaccio . Another Gio Ponti creation, the F.A. 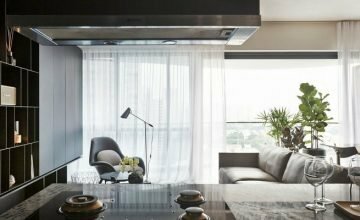 33 Mirror has a futuristic feel with its light curves and expressive features. 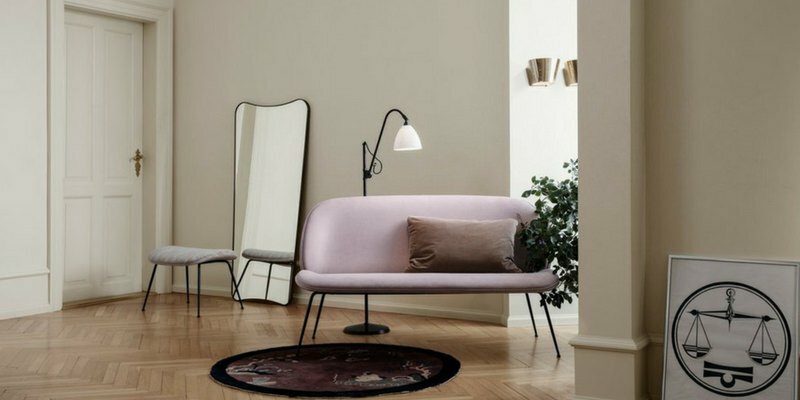 Available in two sizes, full- and half-length, the black brass Mirror is reminiscent of an event horizon, which invites the onlooker to an adventure in another world. For a sci-fi or fantasy fiction fan, the F.A.33 is a subtle reminder of the grand mystery that beckons us! So, do you want to try the magic spell? Drop by our showroom today and we’ll be happy to be of assistance.